I am a watercolor artist and illustrator from Portland, OR, living in Washington DC for the last 5 years. I’m excited to be a part of the Art Star Craft Bazaar for the first time this year. 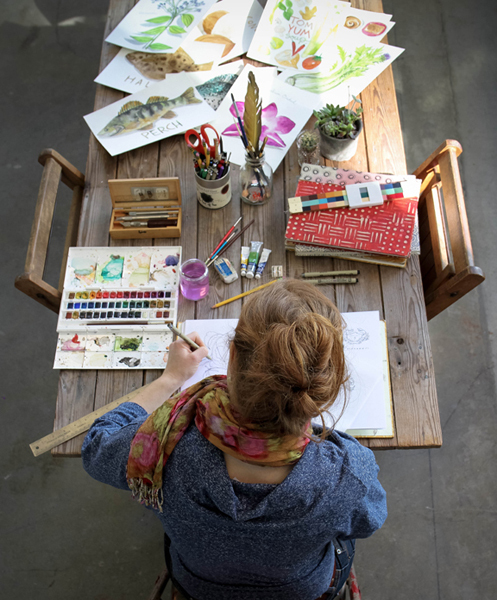 Because my work covers food themes and cooking, I can be found at select Farmers’ Markets as well as Art and Craft fairs in the Mid-Atlantic and on the West Coast. I’ve always really enjoyed cooking and traveling. 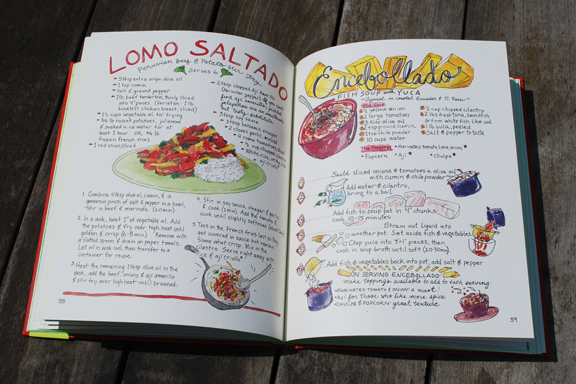 I’ve made a point to cook with people during my trips throughout Latin America, and it is through these experiences that I created my cookbook, Mi Comida Latina. 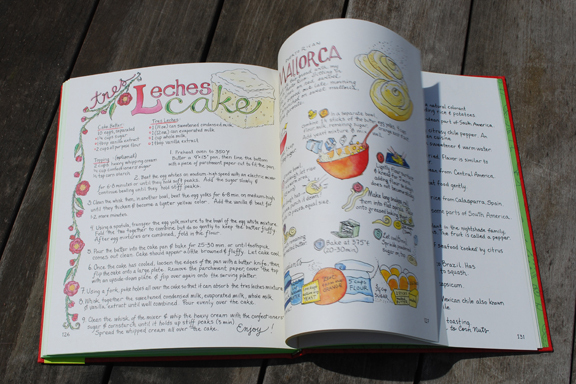 The book is entirely hand lettered and includes my watercolor illustrations on every page. The style reflects my sketchbook journal that I keep during experiences abroad- small step by step drawings and lots of color throughout. I published the book thanks to a successful Kickstarter campaign in November 2012. This self-published edition of the book is sold out, but I’m excited to share that the Art Star Craft Bazaar will be my first Craft Fair showcasing the published edition of the new book. This new edition will be a bigger and better version with an additional 40 pages! 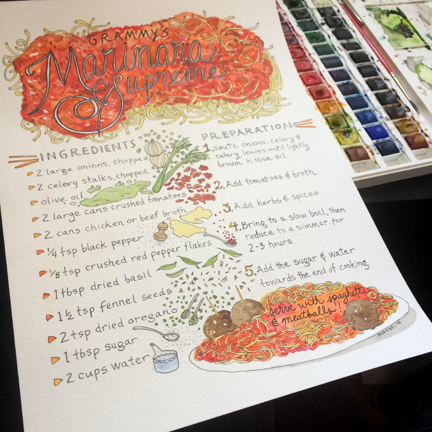 After the Kickstarter edition of the book came out, I got a number of commissions for food-related artwork and custom illustrated recipes (a service I still offer) and my food-related collection began to flourish. I like to work in a series and have explored various fruit and vegetable “families”, complete with Latin names. 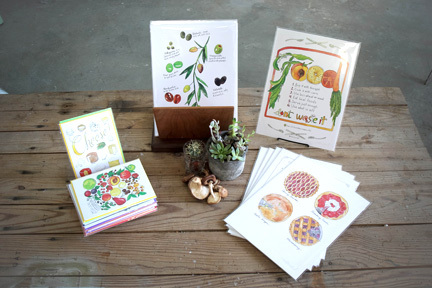 I have designs which celebrate the different types of cheeses, figs, olives and other delicacies. My Art Every Day project from 2014 expanded my collection immensely and I’ll be offering many of these designs as prints for the first time at the bazaar. Hope to see you all at my booth, #118, Mother’s Day weekend! This entry was posted in ascb and tagged art, art star, art star craft bazaar, artstarphilly, Cook Book, craft fair, Craft Show, Design, Food illustration, Illustration, Indie Craft Fair, Marcella Kriebel, Mother's Day Event, Penn's Landing Great Plaza, Philadelpia, philly. Bookmark the permalink.